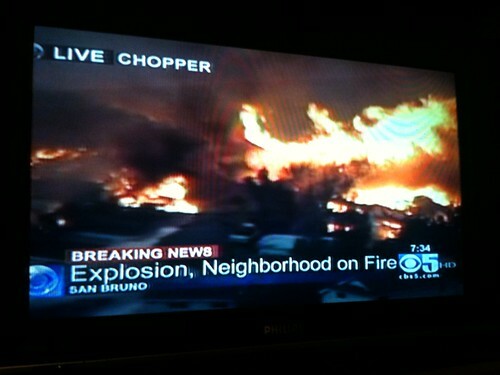 At approximately 6:15 pm, we now know a huge gas explosion occured in San Bruno. First, please take a moment to send positive thoughts to the residents and families of the homeowners. If you live in the Bay Area and can give blood, they are requesting O-negative (assuming any and all blood types will be welcomed) and can find locations via the Blood Centers of the Pacific website. Like the BP oil spill, the confusion around such an explosion is understandable. What perplexed me was an on-air phone interview with a PG&E spokesperson. When the reporter inquired if the gas line was PG&E’s, the spokesperson purposely didn’t answer the question. 1. Express Sympathy: The spokesperson did communicate that the company’s thoughts were with the families of this tragedy. This was a good sign, demonstrating the company’s empathy with the victims. Update (9/9/10, 10:19 pm): Per an email sent to news outlet (source: CBS 5 News), PG&E acknowledges that the gas pipeline was the company’s and plans to take full responsibility if it’s found to be the company’s fault. Nothing on PG&E’s website at this time. 3. Provide Valuable Information: In a 24/7 news cycle, news outlets are seeking to get information out as quickly as possible and companies are seeking to minimize potential risk. With that said, the interview seemed to be premature. The spokesperson didn’t seem well-prepared and didn’t provide tangible information. Rather, there was (still is) an opportunity for PG&E to discuss the steps they are taking to bring power back to the area. 4. Give Back to the Community: There is a great need for the families displaced by this crisis. While there needs to be a balance, PG&E can demonstrate its corporate care by donating to shelters, relief organizations, and supporting a blood drive amongst employees. Again, thoughts are with the families and victims. Update (9/10/10): Last night, the President of PG&E did a press conference around 11:30 pm at night. Unlike the spokesperson earlier, the president was prepped and repeated three messages: 1) ongoing investigation so cannot speculate, 2) working to make the area safe and 3) thoughts are with the families and if this is PG&E’s responsibility, they will “make it right”. While short on detail, these statements addressed my points above. I asked my former colleague, Dennis Shiao, to share his insights on how virtual events can augment PR and marketing. 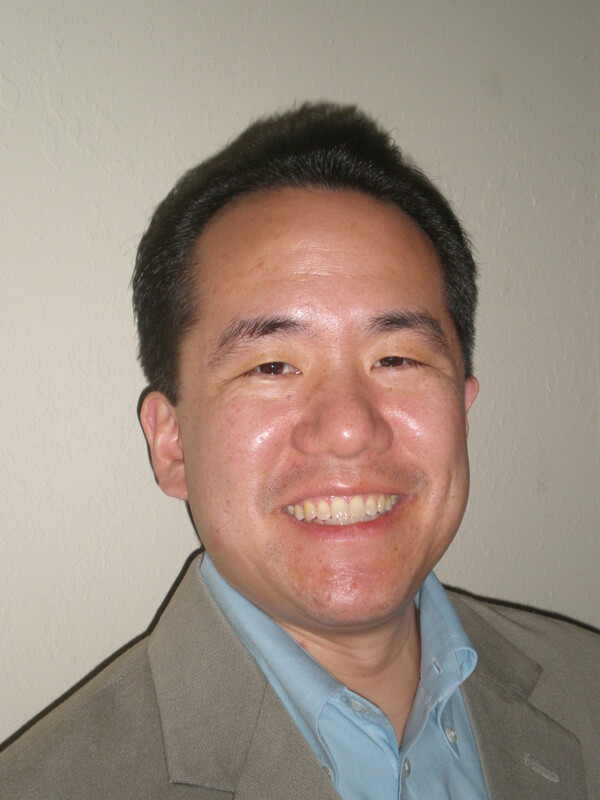 Briefly, Dennis is an evangelist, strategist and practitioner of virtual events. Dennis provides strategic consulting to clients on their virtual events and has managed virtual event campaigns for Cisco, HP, Oracle and Microsoft, among others. Dennis blogs about virtual events and virtual worlds at “It’s All Virtual” and is a frequent author and speaker. Dennis can be found on Twitter at @dshiao. Virtual events are seeing strong adoption. It all started with the virtual trade show, a 2.5D representation of a physical trade show, complete with a lobby, auditorium, exhibit hall, networking lounge and more. A number of formats soon followed, including the virtual career fair, virtual sales meeting, virtual product launch and virtual partner summit. In addition, we’re now seeing businesses leverage virtual platforms for “corporate university” or e-Learning. It will be exciting to see the new and innovative formats that marketers, publishers, event managers and business owners develop in 2010 and beyond. I have a format that is well suited for virtual: the press event. In many ways, the benefits of a virtual press event are the same as a virtual trade show. The host, along with attendees, presenters, etc. participate via the web and save on travel costs, lodging costs, shipping costs and “out of office time.” In addition, all activities within the environment are tracked. And, the environment can remain available long after the live “event” concludes. In the past, press events were planned in “road show” fashion, in which you visited major cities that had the highest concentration of your target media publications. With virtual, you can host a single event and capture a global audience. Alternatively, you can leverage a single virtual platform and stage live events based on regional timezones, to target business hours in North America, then EMEA, then Asia Pac. Your PR efforts can now have a wider reach at a lower cost. In a physical setting, it can be a logistical challenge to schedule and coordinate access from press members to your executive team. With virtual, executives can interact with larger audiences more efficiently. For instance, you might place your CMO in a moderated chat room and take questions from an audience of 1,500. Imagine doing that in a physical setting! Increase your ROI by also inviting customers and prospects to the event. Do your require press credentials to gain access to certain materials? No problem. Virtual event platforms provide role-based access, which means that an access profile can be applied to your customers and prospects that are different from press members. Any PR that you do affects your customers, too, so include them when sharing the news. Whether customer, prospect or press member, study activity paths in the virtual event to determine effective follow-up plans. Did a reporter visit your booth ten times, then ask numerous questions in the group chat area? Schedule a one-on-one conference call with your Senior Product Manager, to ensure that the reporter has all the info she needs. Similarly, follow up with prospects to move them further along in the sales cycle. I believe virtual events can be the definition of “PR meets Marketing”. As PR and Marketing look to Web 2.0 to broaden reach and engagement, consider virtual events as one more tool in your arsenal. Interested in being a guest author? Send me an email with your proposed topic and how it relates to PR Meets Marketing. Self-promotional content will not be considered. 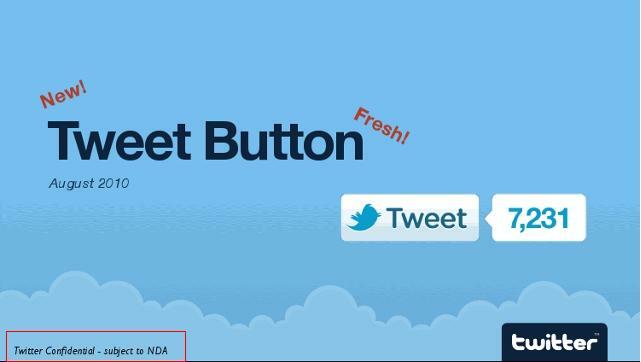 Did Mashable Break Twitter Button Embargo? This leads me to ask, did Mashable break an embargo or did someone inadvertantly send the image without obtaining one first? If the former, how does this impact how PR professionals approach blogs as part of a communications plan? With TechCrunch publicly stated that they will no longer honor embargos, PR professionals have to be more vigilant of the policies and, in some way, integrity of the outlet and reporter/bloggers you’re contacting. I don’t advocate getting every reporter to sign a multi-doc NDA, but by the same token, I don’t think a verbal NDA may suffice anymore. What do you think? Now, if I were more cynical, maybe Twitter meant to have this leaked =) Mashable, would love to hear from you on this. I had an interesting conversation with someone a few weeks ago about the definition of social media and social media marketing. I think it’s important to explore the definitions to ensure that we’re on the same page. akornblatt Social Media are the tools, Social Marketing is what you use Social Media for. While Wikipedia provides a fairly academic definition of social media, here’s my simple definition: Social media is when you and I use online applications, such as Twitter, LinkedIn, Facebook, etc. to create, share, and distribute content (e.g. Video, blog posts, etc.). If Social Media is the tools, then Social Media Marketing is the toolbox. From my perspective, Social Media Marketing leverages social media to achieve key marketing objectives and engage in conversations with key constituents. 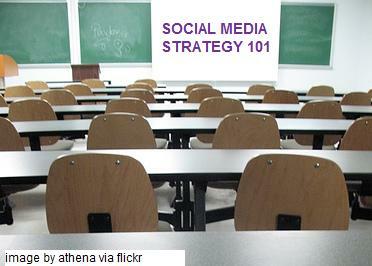 Social Marketing Strategy 101: Are you ready? The landscape has drastically changed for analyst relations over the past few years. When I first started PR, there were just a handful of analyst firms with a few independent firms. In the end, you knew if you had briefings with Yankee Group, Gartner, Forrester, Jupiter and Meta Group, you had your bases covered. And for the company seeking to launch with a bang, Chris Shipley and the DEMO conference was the standard. Now, there are more niche analyst groups and consulting firms that wield influence on a variety of topics. And the responsibility for managing AR no longer sits with PR or marketers, it’s extended to product management & marketing as well as all levels of the executive team. But all is not gloom and doom. With the growth of niche influencers, there has been increased openness in research availability and knowledge. I also see this new breed of analysts having the potential to change how things have been done to date. With larger analyst firms, research areas are clearly defined to address the majority of incoming customer inquiries. Unless a nascent technology emerges as a definable trend, such as with increased customer interest, a traditional analyst firm may not formally delve further into that space. This is where a smaller analyst firm or consultancy has an advantage to identify, evaluate and research a new technology segment. In addition to consulting clients, analyst firms charge hundreds and thousands of dollars to non-customers for research reports. To me, this is similar to the “walled garden” approach during the early days of the Internet when “membership” provided you access to valuable content. For the most part, this metaphor is being replaced by free content which has challenged many industries, especially in publishing. While I don’t believe this will impact the revenue model for analyst firms, I do find it interesting that some firms – specifically The Altimeter Group* and ThinkBalm – allow individuals to access their reports free of charge. This leads into the final area of change for analyst firms. The increased use of social media, such as blogs, twitter and event virtual worlds (for example ThinkBalm’s The Distillery in Second Life), further increases these analysts’ awareness in the market place. And for the savvy marketer and PR practitioner, new avenues to engage with these analysts not previously possible. A new breed of analyst is emerging. They tend to have an “open garden” approach that engages people in conversations. And without a larger organizational structure, they have more freedom to explore different technology segments – both established and emerging. The challenge for folks like you and me is determine which of these new analysts have the insight and business acumen to emerge as industry influencers. Engage the right ones and you’ll have an opportunity to shape the conversations around your industry. For those of you overseeing analyst relations, do you agree or disagree? * Read Jeremiah Owyang’s blog posting about the Altimeter Group Approach (two-thirds down the page). PR People are Bitchy: If you were to watch this show, you would think that everyone is backstabbing and looking out for only one’s career. No Strategy Required: In this episode, the “gals” were running around putting together an event in one day. It just seemed that there was no strategy for the work beyond getting the big name stars to use their client’s product so it would appear in the magazines the following day. PR Executives Just “Hob Nob”: The two main executives seemed to do no heavy lifting besides meeting with clients, having lunch and showing up at the venue right before it started. It’s unfortunate that a show like this will be seen as being representative of public relations. While the client’s product was photographed in multiple consumer magazines, I’m unsure what the true objective of the PR program was. The client’s messages and objectives seemed to get lost in the process. Maybe this is how entertainment PR is done and how it dramatically differs from technology PR. I would love any insight from someone from the entertainment industry. Is this show TRULY representative of your industry? Every Sunday, my husband and I watch 60 Minutes. While most of the stories are reruns this summer, 60 Minutes aired the first public interview with Michael Vick who recently left prison on dog fighting and cruelty charges. Check out the video and article here. I’m a huge football fan and was surprised that the Philidelphia Eagles took a chance by signing Vick earlier this week. While watching the interview, I couldn’t stop thinking about the strategy that Vick and his team (lawyers, agency and brand/PR folks) are using to manage and rehabilitate his reputation. 60 Minutes Interview: Lends credibility that Vick truly understands the gravity of hissituation and previous decisions and his true intent/desire (?) to redeem himself. Association with Humane Society: With the Humane Society’s willingness to believe in Vick’s resolve to atone for his mistakes, the hope is that fans will also take that chance on him as well. Controlled Public Appearances: Since being released, Vick has been very careful about his public image and statements. To my knowledge, he’s been dressed conservatively with a serious demeanor, further emphasizing that he is not the same person he was 2 years ago. If Vick is truly sincere, I think these efforts will eventually have their desired affect with most out there – let’s be honest, a certain segment of animal lovers will never forgive him for his actions. There will be a healthy level of skeptism that Vick hasn’t changed and is just implementing a very sophisticated PR strategy to make money. Regardless of which camp you belong in, I do believe that he is executing the right strategy to start down the road to redemption. What do you think?